Moritz Nachtstern (1902–1969), a typographer, was one of the 532 Norwegian Jews deported to Germany on the ship Danau in 1942. From March 1943 until February 1945 he was a prisoner in the Sachsenhausen concentration camp in Germany. Norwegian journalist Ragnar Arntzen edited the memoir for publication in 1949. ﻿Moritz Nachtstern’s daughter Sidsel Nachtstern contributes a moving foreword to the book. 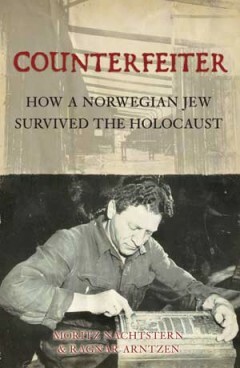 Bjarte Bruland is a historian specializing in the Holocaust in Norway. He presently works as chief curator a the Oslo Jewish Museum preparing the permanent exhibition on Jewish culture and history in Norway to be opened in 2009. Lawrence Malkin is the author of Krueger's Men: The Secret Nazi Counterfeit Plot and the Prisoners of Block 19 which has been translated into seven languages. In his long career as a journalist, Lawrence was the European Correspondent of Time magazine, based in Paris, and the International Herald Tribune's correspondent in New York. His articles and reviews have appeared in many magazines including The Atlantic Monthly, Fortune, Horizon, and The Quarterly Journal of Military History. He lives in New York with his wife.